We here at MG have some exciting news to share! 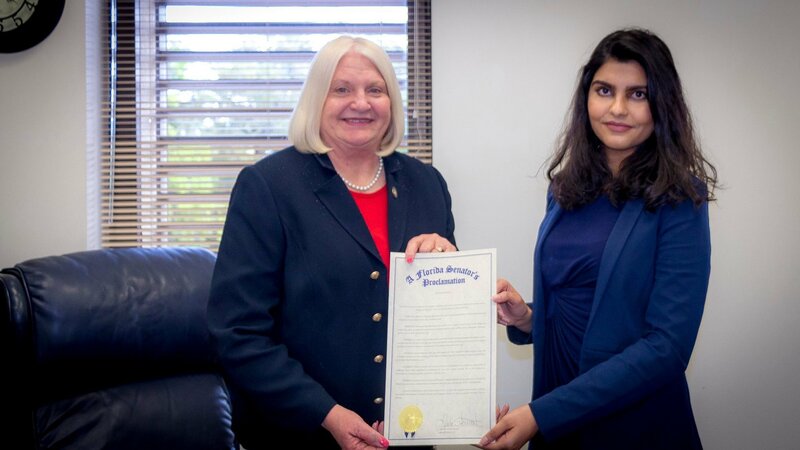 Our Muslim Girl initiative, the first inaugural #MuslimWomensDay, has been declared an official day for the city of Orlando, and for the entire state of Florida. First enacted by Orlando’s mayor, Mayor Buddy Dyer, with a citywide proclamation, Senator Linda Stewart was able to make a statewide proclamation as well. This was followed by a House Tribute from Representative Carlos Guillermo Smith. Read the proclamation for the city of Orlando here. Read the statewide proclamation here. Read the House Tribute here. 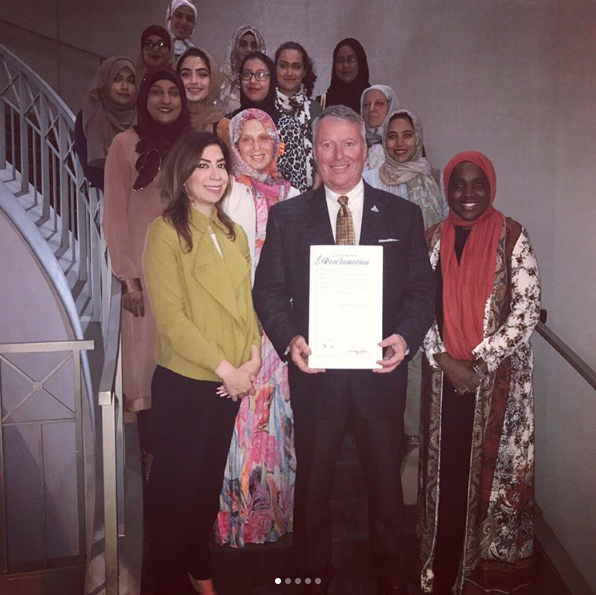 MG is proud to partner with the Muslim Women’s Organization of Orlando (MWO) and CAIR-Florida for a local event honoring Muslim women, where the Mayor of Orlando read and presented the proclamation. 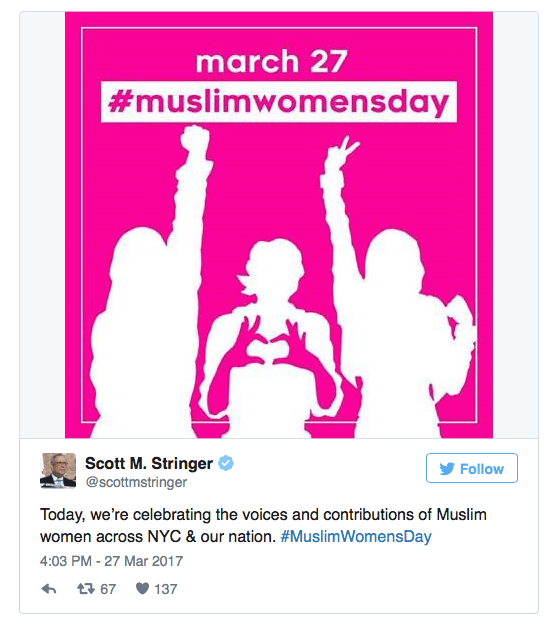 Meanwhile, Senator Stewart tweeted that she was “Proud to proclaim today #MuslimWomensDay in #FL,” to “honor & celebrate economic, cultural, social contributions” of Muslim women. 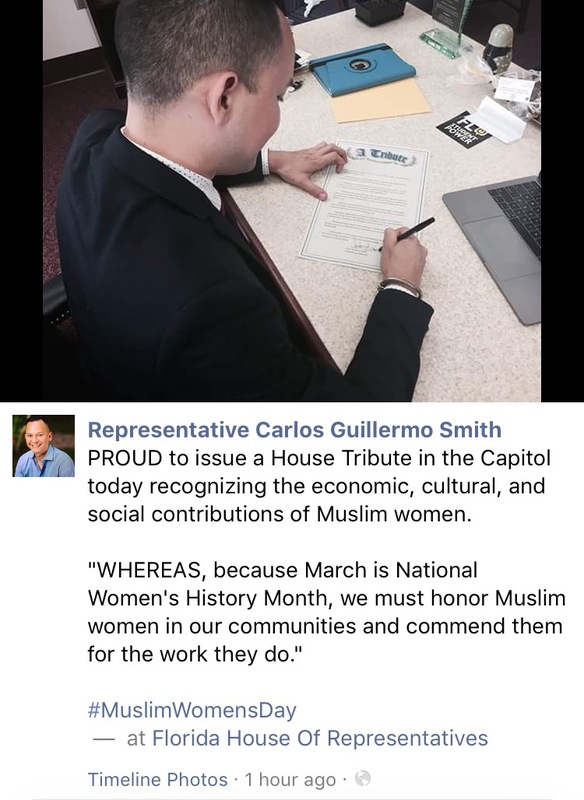 Representative Carlos Guillermo Smith of Florida echoed those sentiments as he issued the House Tribute for #MuslimWomensDay. The first inaugural #MuslimWomensDay received support from government officials in other states as well — Indiana governor Eric Holcomb gave the initiative a video shoutout, while New York’s comptroller, Scott Stringer, tweeted about #MuslimWomensDay. How will you be celebrating #MuslimWomensDay?